A group of my friends and I used to take an annual road trip from New York to Louisville on Derby Weekend. It was grueling, unhealthy and insanely fun. Piling into a minivan on Thursday evening for the overnight drive and again on the return trip Sunday, we would decide which route we’d take. There were essentially two ways we could drive from New York to Louisville, neither of which was faster than the other. It just depended on which way we’d rather go. But what is the context? That is the essential question behind every video project. What are we trying to say, and who are we trying to say it to? When you are working on a scripted idea, those questions are answered by the copywriter, long before the footage gets ingested into the editing software. But when you are working on an unscripted project, the weight of those decisions rests on the editor’s shoulders, so you need to know where you are going and have a plan on how to get there. In the case of a video we produced over the summer, we discussed early on with the client at length what they wanted. We then shot three interviews, consulting with the client on set to make sure that we were getting everything they wanted, and then took the footage into the editing suite and stared at a blank canvas wondering where to begin. Based on the early discussions with the client, we knew the tone and the destination, so we just needed to find an opening that hit the tone and served as a launch pad for the rest of the piece. From there, it was time to decide our route – pick a direction, map out the salient points, find good transitions between those points, and by the time we reached the end, we had a project that had both form and function. At that point, when the piece was strong from just an audio perspective, we only needed to decide how to smooth over the rough edits and jump cuts to make it seamless. 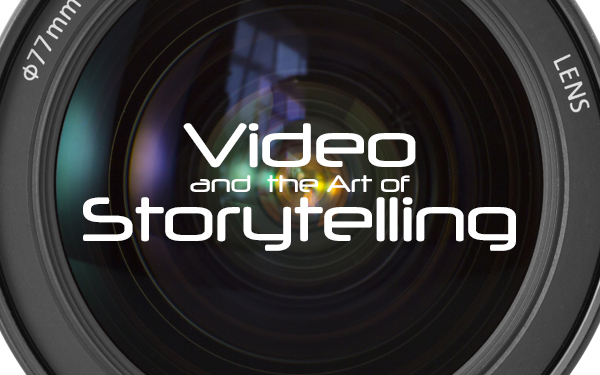 Each project, whether it’s a :30 TV commercial, or a 8:00 presentation video, is essentially a story to be told. Each has a beginning, a middle and an end, and most importantly, each one has a point. You don’t have to start at the beginning, you could start in the middle to pique interest and then go to the beginning and then to the end, or you could start at the end and work backwards. Hell, you can drive to New York from Louisville via Los Angeles if you really want to. It’s inefficient, but it’s a scenic drive. And since all roads are connected, all roads from Louisville lead to New York eventually. You just have to keep in mind the strain you are placing on the patience of your passengers, who are giving you their precious time for this journey. The same goes for the video project. Like any good story, if you hook them at the beginning and keep their interest throughout, they will stay with you until the end, regardless of how long it takes to get there.